In many ways, it was fitting special teams led the way as Bill Belichick recorded the 270th victory over his head-coaching career, which draws him into a third-place tie with Tom Landry on the all-time list. Only Don Shula (347) and George Halas (324) have more wins. Special teams, of course, are a Belichick trademark as he builds his roster with as many special-teams-only players as any club in the NFL. 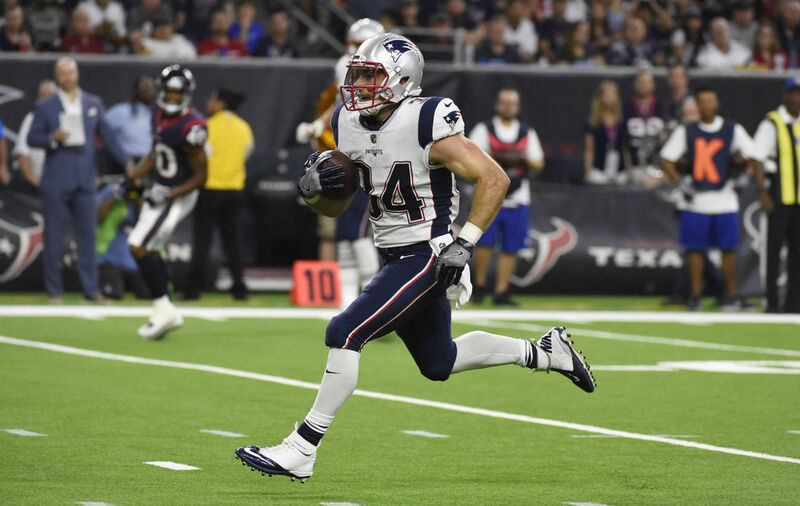 Recovering a muffed punt early in the first quarter and quickly turning it into a touchdown, Dion Lewis' returning a kickoff 103 yards for a touchdown, and then Rex Burkhead's blocking a punt to lead to a field goal was an impressive trifecta. Those plays helped the Patriots lead from start to finish in a venue that has been a house of horrors for them more often than not. Brady entered with a 3-7 record at Denver but has now won two in a row. 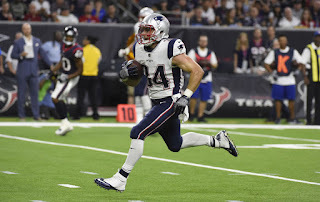 Kickoff return: Jacob Hollister, Marquis Flowers, Jordan Richards, Brandon King, Brandon Bolden, Trevor Reilly, Nate Ebner, James Develin, Dwayne Allen, Matthew Slater, Dion Lewis. Punt return/rush: Matthew Slater, Jonathan Jones, Patrick Chung, Johnson Bademosi, Trevor Reilly, Brandon King, Rex Burkhead, Brandon Bolden. Devin McCourty, Nate Ebner, Danny Amendola. Punt coverage/protection: Matthew Slater, Jonathan Jones, Brandon King, Marquis Flowers, Trevor Reilly, Joe Cardona, James Develin, Jacob Hollister, Brandon Bolden, Nate Ebner, Ryan Allen. Kickoff coverage: Jordan Richards, Jonathan Jones, Trevor Reilly, Matthew Slater, Nate Ebner, Brandon Bolden, Rex Burkhead, Patrick Chung, Brandon King, Jacob Hollister, Stephen Gostkowski. As for the coach leading them, Joe Judge, he isn't as well known as offensive coordinator Josh McDaniels and defensive coordinator Matt Patricia. He had shared his "football journey" as part of ESPN.com's weekly feature last week.